We advise all prospective clients to consult us directly in order to determine what category you are eligible for. Having said that, here is The government of the United States is now more ready then ever to initiate removal (formerly known as "deportation") cases against persons "out of status" in the United States. Although the prospect of these proceedings can be terrifying, with stories of midnight raids and long detentions all over the news, the beginnings of removal proceedings need not be a time of fear. In most cases the judges who staff the Immigration Courts are decent, kind, and fair people. One need only look at the statistics to understand that Immigration Judges award more green cards then issue orders of removal. Ferro & Cuccia proudly stands with its clients to defend against their deportation in appearances before the Immigration Courts. Ferro & Cuccia is ready to file the full range of applications for relief, such as asylum, cancellation of removal (the fabled "10-year case"), or adjustment of status. In many cases, the best thing that ever happened to a person was the initiation of removal proceedings. Withholding of Removal is very similar to asylum, but it does not lead to a "green card." However, withholding allows you the privilege to stay in the United States and to receive an employment authorization document (or "work card"). 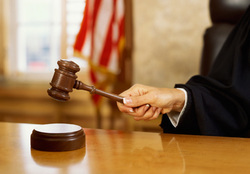 Cancellation of Removal (or the "ten-year case") is a form of relief that leads to a green card if you can show at least 10 years of physical presence, good moral character, and that you have a qualifying relative who is U.S. citizen or lawful permanent resident who will suffer extreme hardship in the event of your deportation. The Immigration Court can adjudicate applications to adjust status if there is an approved I-140 Petition for Alien Worker or I-130 Petition for Alien Relative. The Immigration Court can remand proceedings to USCIS for a determination that you are an American citizen that cannot be deported. If you are eligible, we can assist you with a Motion to Reopen your removal proceedings, which can be filed to either the Immigration Court of the Board of Immigration Appeals. If you or your loved one is arrested an taken into Immigration and Customs Enforcement ("ICE") custody, please contact us immediately. We may be able to file emergency motions to reopen with the Immigration Court or the Board of Immigration Appeals.